There comes a time when a boatbuilder has to retire a popular model from its line, as Fairline did a few years ago with its Targa 43. 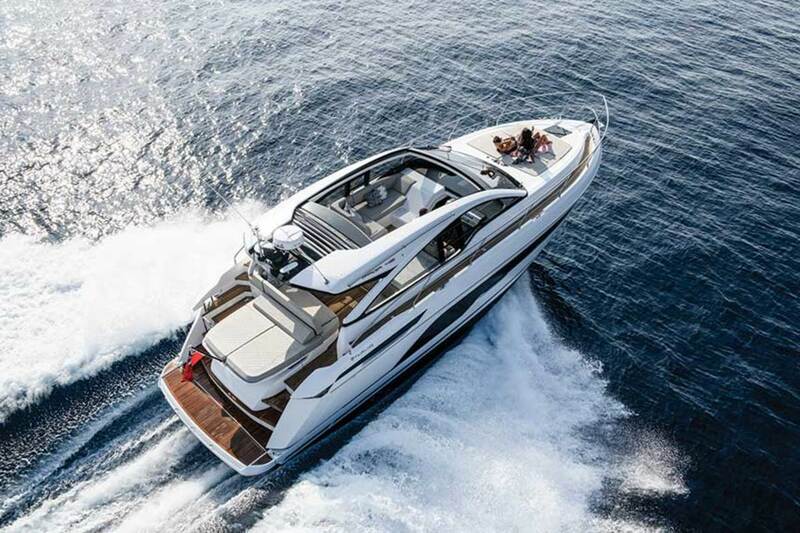 The English manufacturer, which had produced about 300 of the express cruisers over eight years, tapped Italian yacht designer Alberto Mancini to dream up a replacement, following his work on Fairline’s Targa 63 GTO. 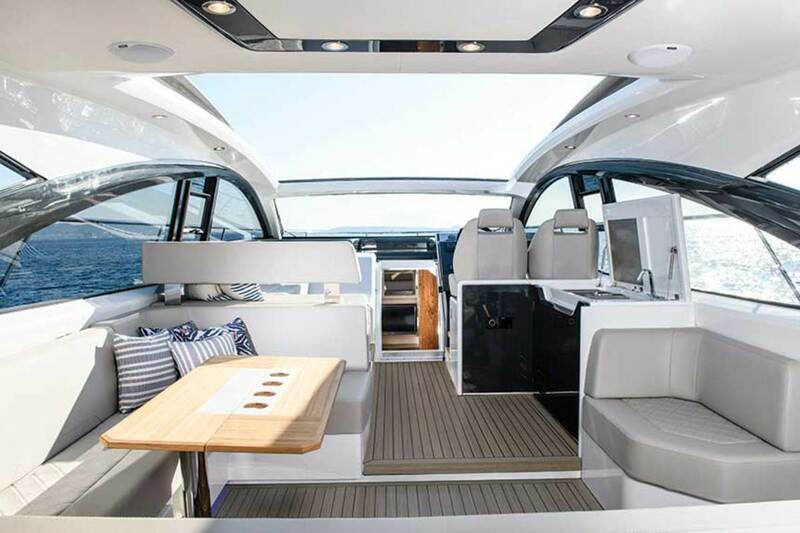 The result is the new Targa 43 Open, with a hardtop and a centerline, powered canvas top that opens to create an indoor-outdoor experience on the main deck. The boat’s other features also aim to connect passengers with nature. The 43 Open’s bright interiors take cues from the 63 GTO. 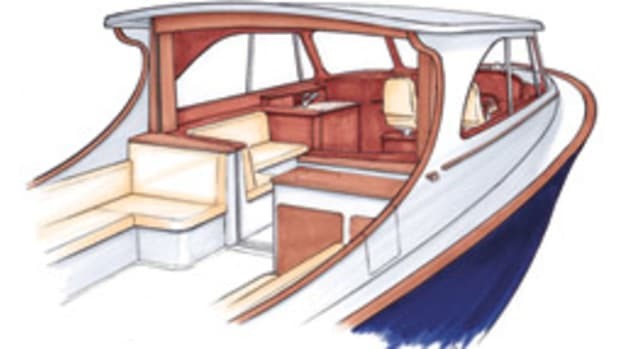 The cabin has tapered, one-piece salon windows, while hull-side glazing brightens the accommodations level. 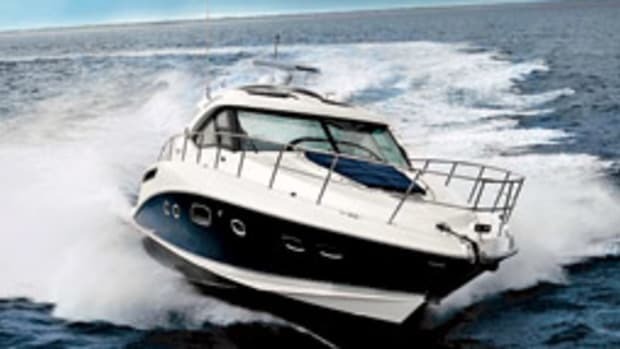 The boat comes standard with two staterooms, and owners can choose to locate the master forward or amidships. With the master forward, there’s a guest stateroom with twin berths amidships; with the master amidships, the twin-berth stateroom moves to the bow. 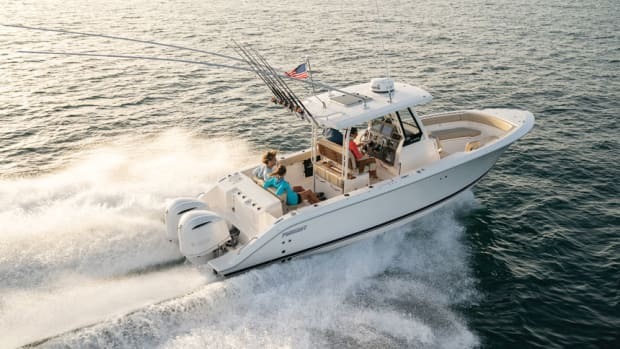 The 43’s exterior has a rakish roofline that suits the boat’s potential for sporty performance. 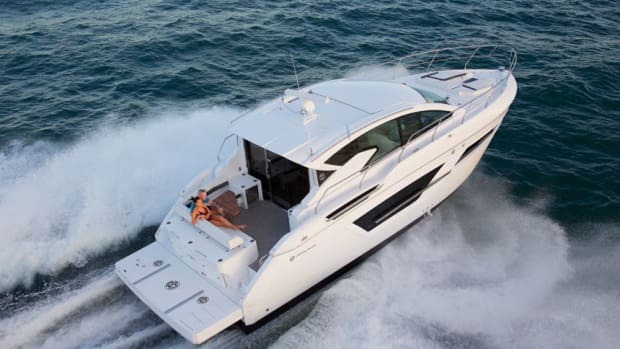 Fairline’s recommended propulsion is a pair of Volvo Penta IPS600s paired to 435-hp D6 diesel inboards. The package should push the Targa 43 Open to a top-end speed of 34 knots, according to the builder. 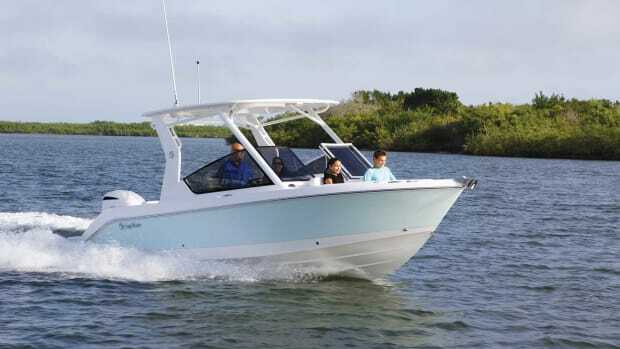 The deep-V hull is designed for comfortable coastal cruising, and the comfort can be enhanced by a Seakeeper stabilizer. 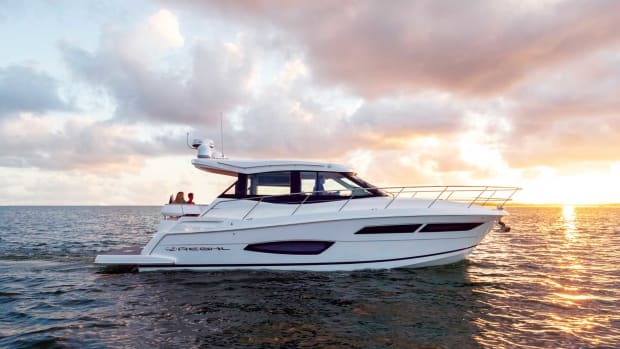 Cruisers Yachts replaces its Cantius 45 with a new 46, which has layout changes that make it more comfortable than ever. 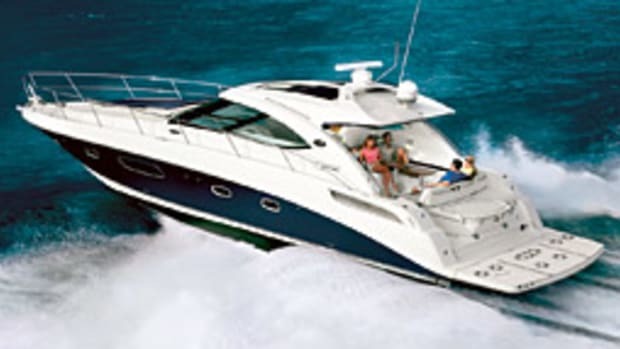 Regal's 38 Grande Coupe is a fully found family cruiser with oversized overnight accommodations and sporty performance. 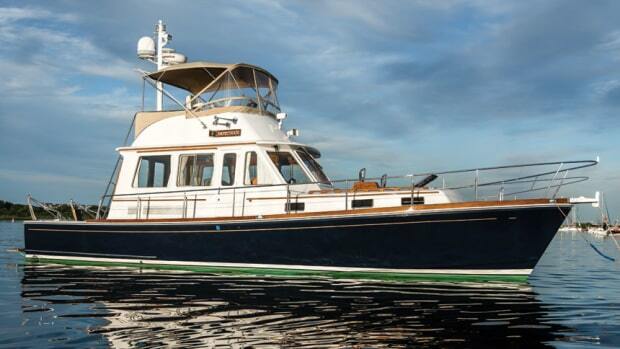 The East Bay 43 Flybridge was a popular Grand Banks model drawn with good-	looking Downeast lines. Sara and Scott Conner consider their 2001 model their dreamboat.